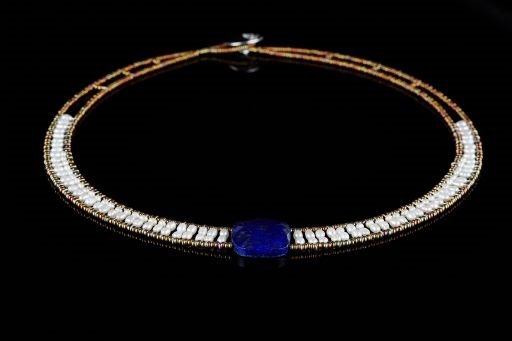 Ziio's Armonia Necklace in Lapis & Pearl. One large faceted Lapis Gemstone is at the center of the Necklace with a contrast band of White Seed Pearls, all framed in Murano Glass Beads. Sterling Silver Button Closure. Length is 18", adjustable to 15".